There are 2 shops proposing this game for download at an average price of $ 7.97. The legendary hero that is Robin Hood has unwittingly lent his name to a number of video games over the years, from The Adventures of Robin Hood to The Legend of Sherwood as well as this offering, which is essentially a remake of the classic Defender of the Crown. However, this one is a pretty middling affair that is probably best skipped in favor of its inspiration which still stands up well today. Here, you play Robin as he sets off on his epic quest to reclaim the throne of England after the rightful king, Richard, was usurped by his treacherous brother John. 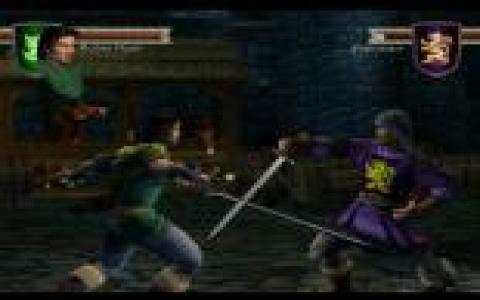 The essential gameplay is similar to the original, this being a turn-based strategy game mixed in with action-based mini-games. You start out on a map of England where you make a variety of decisions, such as whether to conquer a neighboring shire, hire more soldiers, raid castles, build strongholds and so on. Any attacking action brings up one of the mini-games so you can take part in the raid or experience all the fun of a jousting tournament. Fans of the original might be curious to check out what's new here but really, this updated version takes away what made the original so good. The added story elements here are a potential appealing element but unfortunately they have the effect of dragging the gameplay out to the point where it becomes tedious and repetitive because it is so prolonged. In its favor, the visuals here are quite decent while the game also boasts excellent sound and writing which clearly shows some research went into this. Unfortunately, it's not enough to save this from being merely mediocre.